Aluminum, it turns out, plays a critical role in our understanding of the biological mechanisms of vaccine injury. In this article, I will review the scientific evidence of four major ways that vaccines can cause harm. These are (1) Vaccine-Induced Mitopathy; (2) Vaccine-Induced Persistent Gliosis; (3) Vaccine-Induced Endoplasmic Reticulum Damage, and (4) Vaccine-Induced Autoimmunity (to appear as a separate article). My intent and purpose is not and has never been to discourage anyone from accepting vaccines, nor to provide medical advice of any kind; rather, my intent is to make a clear path toward safer routes to artificial immunization and communicate the state of scientific knowledge about mechanisms of the pathophysiology of disease caused by vaccines, and how such human pain and suffering can be mitigated. Individuals born with mitochondrial disorders have partially disable cellular energetics. Mutations that alter proteins in the various specific mitochondrial pathways lead to a variety of congenital conditions, including encephalomyopathy and seizures. We need mitochondria to work in all of our tissues. However, our brains consume so much energy, any weakening of mitochondrial ATP flux will almost certainly lead to neurological disorders. Environmental damage to mitochondria is known to occur from exposure to lead and includes depletion of mitochondrial membrane potential (ΔΨ) and intracellular glutathione (GSH), elevation of caspase-3 activity, intracellular reactive oxygen species, and malondialdehyde levels, and inhibition of GSH peroxidase (GSH-Px) activity (Liu et al., 2014). Why discuss lead-induced mitochondrial toxicity in an article on vaccine injury? In part because many individuals familiar with brain injuries and conditions that lead to brain injuries will recognize the critical role of GSH, the importance of shutting down ROS, and the potential use of malondialdehyde as a screen for brain injury following vaccination. Another reason is that 25% of the homes in Pittsburgh have higher lead levels in the water coming into the homes than the levels found in the water in Flint, MI, and individuals with mitochondrial damage due to lead are likely to be a higher risk of the toxic effects from vaccines. The science of the specific actions and mechanisms of mitochondrial injury from vaccines include some of these events, including recognition of aluminum as an intracellular ROS generator (Han et al., 2013). Aluminum is present in vaccines as an adjuvant in a variety of forms, most commonly aluminum hydroxide (a well-known neurotoxin). Vaccine risk denialists spend a lot of time denying the massive literature on the neurotoxicity of aluminum. Nevertheless, studies show that aluminum also disrupts cytoskeletal dynamics (Lemire et al., 2009). Thimerosal also has damaging influences on mitochondria, including direct damage to the mitochondrial genome. Sharpe et al. (2012) found that thimerosal induced a five-fold increase in the levels of oxidant damaged mitochondrial DNA bases and increases in the levels of mtDNA nicks and blunt-ended breaks. Increases in DNA damage to mitochondrial DNA can only increase the likelihood of heteroplasmy (the occurrence of >1 mitotype in a tissue or a person) – and low-energy regions of the brain can result because mitochondria are inherited in soma via cellular division. Repeated exposures to mercury can have myriad ill effects as well. Exposure to Methyl mercury (not the type found in vaccines) shows an increase in total reactive oxygen species (ROS) over time in the brain in autoimmune encephalomyelitis (Kharizi et al., 2016). The same ROS-generating effects, along with mitochondrial DNA damage, are seen due to the exposure of ethyl mercury in thimerosal, found in vaccines (Sharpe et al., 2012). The cause of macrophagic myofascitis (MMF) has since been identified asaluminum hydroxide from vaccines lesions (Gherardi et al., 2001; Authier et al., 2006; Gherardi et al., 2012; Rigolet M et al., 2014). Patients with MMF have an unusually long reaction at the site of injection of aluminum-containing vaccines in their muscle, and biospies show infiltration of muscle tissue by macrophages. (See Paging Dr. Offit! Your Aluminum Neurotoxicity Reading Assignment is Ready for these references). While reading thousands of studies for “Causes“, I was amazed by the number and the high diversity of types of studies that showed that microglia are chronically activated in autism. Microglia are cells in the brain that normally work to help form complex many:many synapses, leaving behind an abundance of 1:1 synapses. This is reflected in the altered Inhibitory/Excitatory ratio found in ASD and other neurodevelopmental disorders. Microglia also play the role of pruners. When there is a physical injury or an infection that damages nerve cells, glutamate is released. This amino acid is a neurotransmitter, and in high concentrations, glutamate is also a signal to microglia that cellular damage exists in the brain. Local microglia respond by changing shape, becoming macrophagic, and they go to work cleaning up cellular debris. They can induce apoptosis (cell death) and destroy both dendrites and neural precursor cells. When metals such as aluminum and mercury enter the body, they are taken up by macrophages, and they slowly accumulate in the brain. Harm to astrocytes can occur, as we have seen, via direct mutagenesis, ROS species generation, endoplasmic dysfunction, and other mechanisms (including blockage of normal functioning of cytoskeletal dynamics (coordinated actions of actin and microtubule filaments, nucleolar membrane pores). The individual or cumulative effects of these insults reduce astrocytic uptake of glutamate, causing a rise in the brain-wide concentration of glutamate, leading to excitoxicity – the activation of microglia leading to specific types of deficits and surpluses of pruning activity, and unwarranted, unhealthy microglia-mediated apoptosis (cell death). 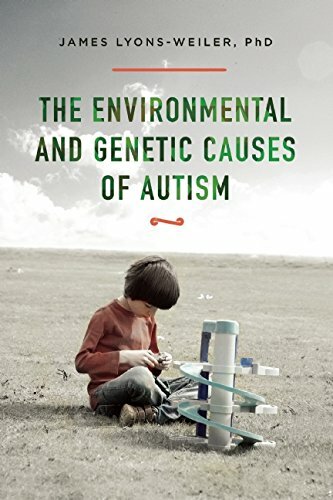 (See the Companion site “Causes”: The Environmental and Genetic Causes of Autism Reference Resource for relevant references). The destruction of dendrites, neural precursor cells and otherwise healthy nerve cells leads to the further release of glutamate – and cytokines – signaling the brain inflammasome. Astrocytic cell death leads to the re-distribution of accumulated metals to new brain cells. The reactive microglia are induced on a repeated basis – 33 times – over the course of the first 18 months of life (See CDC schedule to 18 mos). If any child has a mutation in any number of genes encoding proteins involved in cellular detoxification, downregulation of microglial activation, mitochondrial function or even synaptic transmission, these environmental exposures can lead to devastating encephalopathy. Clearly, vaccine safety science at the population level will be uninformative on the reality of specific risk in certain families. normally, both aluminum and mercury have toxic effects on the cell’s garbage removal system – the endoplasmic reticulum. The effects of aluminum are rather dramatic – it causes the ER to “glom-up” against the nuclear membrane. This is due in part to the failure of microtubule functions, which aids in the “unfolding” and movement and function of the ER. This mechanism is independent of the P53 apoptosis pathway (Rizvi et al., 2014) – but neuronal death occurs nevertheless. “Aminopeptidase … plays a central role in peptide trimming, a step required for the generation of most HLA class I-binding peptides. Peptide trimming is essential to customize longer precursor peptides to fit them to the correct length required for presentation on MHC class I molecules”. The significance of disabling ERAP1 to immunity to pathogens cannot be underestimated. The very proteins that patients are attempting to use to protect themselves against infectious agents that cause disease are prevented from being properly trimmed – thus disrupting proper everyday immunological signaling. This may explain why patients who have received a vaccine against influenza have higher rates of non-influenza respiratory infections (Cowling et al., 2012). The vaccine studied (Vaxigrip) from Sanofi Pasteur includes thimerosal. Widespread “anecdotal” experiences by patients reporting “getting the flu” after receiving the flu vaccine are likely due to them becoming immunologically compromised by thimerosal-containing flu vaccine, allowing viruses to which they were immune prior to the vaccine to exert a pathogenic effect. A study in 2011 found that annual vaccination of children against influenza indeed hampers the development of virus-specific CD8+ T cell immunity (Bodewes et al., 2011). Clearly, vaccination using thimerosal is not benign to human health. Patients who choose to receive vaccination as an attempt to achieve immunity against influenza can opt for the flu vaccine without thimerosal. Quite problematically, however, many doctors are not even aware that they are injecting thimerosal into patients. It is important, therefore, for patients to share all of these findings with their health care providers and their county and state health departments. An exciting new realization is the finding that amyloid plaques may play a direct role in severe autism with self-injury and aggression. Amyloid is made partly of aluminum. The notion that aluminum cannot cross the blood-brain barrier has been known to be false since at least 1985 (Colin et al., 1985). Dr. Exley’s most recent findings of record measurements of aluminum in the brains of people who died from Alzheimer’s confirms the truth: aluminum is at the very core of Alzheimer pathophysiology. The most significant source of aluminum in children from birth to three years of age is vaccination. This is reversed in adults due to increased body weights and higher amounts of aluminum in the diet. Generally speaking, humans absorb 0.2-0.3% of the aluminum present in their water and food. In contrast, every microgram of aluminum injected must be dealt with metabolically. Around 10% aluminum introduced to the body (past an epithelial layer, either by diet or by injection) makes it to the brain and stays there for decades. Children with severe autistic behavior and aggression have increased levels of beta-amyloid precursor protein (Sokol et al., 2006). Aluminum from all sources in their brains (water, food, vaccines) would foster the development of amyloid plaques, and should be avoided. This knowledge is also exciting for families with loved ones with ASD who are suffering from self-injurious behavior and aggressive behavior because intranasal insulin is known to activate the enzymatic pathway that clears amyloid plaques. Research studies on the efficacy – and safety – of intranasal insulin in ASD are needed. It is very important to reduce the total aluminum and toxin exposures to children being vaccinated. Some water filters such as Zero Water reduce aluminum absorption from the diet; silica drops and high-silica mineral water both cause aluminum in the diet to become bound as aluminum silicate and thus pass through the digestive tract unabsorbed. This section will be published in a separate article. Allegheny County Health Department dropped the ball on lead in the drinking water, calling on a vaccine risk apologist to distract from the lead in the water coming into their homes. In a press conference, the individual pointed out that there was more lead in the soil and paint in these homes than in the water the occupants consume. This was a move to try to (but failed to) deflect responsibility away from the Allegheny County Board of Health’s (ACBH) failure to address the issue of lead in the water in homes in and around Pittsburgh. However, as discussed elsewhere, ACBH should have been more, not less concerned about lead exposure from the water due to the presence of lead in the soil and paint, because toxicity is dose-related. Risk of neurodevelopmental disorder cannot be siloized by mere mention of sources of toxins that have accumulative effects and that interact with other toxins. The ill effects of lead on the mitochondria should therefore also cause ACBH and health care workers everywhere to pause when recommending vaccination for children known to have high lead levels. Children in urban areas should be tested for lead prior to vaccinations – and those with high lead levels should be recommended to avoid vaccines with thimerosal and aluminum. The ACBH knows where these children live, and who they are. Will they alert the parents of these children to the potential for increased risk of vaccine injury due to their lead exposures? My most ardent supporters, many of who are completely against vaccines because, in part, they see the future of immunity as stemming from healthy societies instead of artificial immunization, understand that I will never call for an end to improving means of artificial vaccination, for to do so would to be lock into place the specific vaccines that currently are causing millions to suffer from autoimmune and neurological disorders across the globe. Many of them disagree with me on this point, some quite vigorously. Vaccine industrialists take note: the flaws in your products are putting the entire immunization paradigm at risk. Those who develop the next-generation of infection-protection products should be aware that as long as you shield yourselves from liability, they will remain unacceptable to a growing segment of the general population. The public correctly believes that it is immoral to indemnify anyone against liability for flawed products, medical or otherwise. Removing the protections of yourselves and products from liability will be one gesture that could possibly restore some confidence. Conducting randomized double-blinded clinical trials large enough to detect rare adverse events, designed to include and report on those likely to suffer adverse events (at least in the math, preferably in the study design), avoiding the use of confidence intervals, not over-correcting your analyses, defining, publishing and sticking to a data analysis plan prior to conducting any analyses, reporting NNT (numbers needed to treat) and related measures (numbers needed to invite) and providing a fully transparent report of the fate all patients enrolled in the study will help restore confidence. I join many voices from around the globe calling for the ban on the use of thimerosal at any stage of vaccine development. We have forthcoming results that show that aluminum dosing in pediatric vaccines is too high, and was not determined by dosage escalation trials in which aluminum was injected into animals. I also strongly recommend that unsafe epitopes should be identified, and excluded from all vaccines. Legislation from the people at the state level banning the sale or distribution of vaccines with mercury, aluminum and unsafe epitopes could prove to be an effective means for the people to gain control of what goes into their bodies. I’ve also called for biomarkers to screen people away from vaccines due to increased risk. This is consistent with the legislation that mandated the identification of individuals most susceptible to risks from vaccines. Specifically, the Act mandated the identification of “the groups, categories, or characteristics of potential recipients of such vaccine who may be at significantly higher risk of major adverse reactions to such vaccine than the general population“. Not only has that not happened, the CDC has actually taken action to weaken the available information – and for that, last December (2016), Bernadette Pajer and my joint public comments were censored, along with hundreds of other public comments. Our redacted comments and hundreds of others were made public after a brief consultation with my lawyer. In my view, and in the view of thousands of parents, the National Childhood Vaccine Injury Act has been abrogated due to the failure of our government, vaccine manufacturers, and the medical community to do their part. They are now pushing mandates at the State level at frenzied pace with legislation designed to strip citizens of their existing liberties to opt out of vaccination. Exemptions exist in 48/50 states, and they must be defended so people who have reason to believe they, or their children are at risk of vaccine injury, can opt out. Under any other area of biomedical inquiry, these rational moves would come as recommendations. Under the current likely rates of vaccine injury, these steps are not mere recommendations. Under the National Childhood Vaccine Injury Act (NCVIA) of 1986 (42 U.S.C. §§ 300aa-1 to 300aa-34), they are mandated by Congress. Religious exemptions must also be respected, in part due to the use of aborted fetal cells in the production of vaccines. The rate of death on the first day of life in the US is highest among all rich nations. Maternal deaths during pregnancy are at an all-time high, and yet CDC is still recommending Tdap vaccination, against FDA label, every pregnancy, every time. This recommendation was made with no safety studies – and the safety studies conducted since left out mothers who were at risk of complicated pregnancies, or simply excluded fetal deaths due to a lack of scientific ability to know the date of a spontaneous abortion. See the first #braintrust episode on this topic here. The not-for-profit I founded, IPAK, has called for a ban on vaccination in the NICU (see #nicuchallenge on social media) until studies are produced that demonstrate that vaccination in the NICU is safe. Many people don’t know that NICU’s vaccinate all of their patients at once, and have crash teams that stand by for respiratory distress, seizures, and other serious adverse events that occur due to the vaccination of low birthweight infants with 250 mcg of aluminum in the HepB vaccine. IPAK has also published a major report on the potential role that vaccination against HepB on the first day of life has played in preventing the bankruptcy of the medical industry in the US, Canada and the UK. It includes a call for screening programs to keep those most at risk out of harm’s way. I join many other voices in calls to mandate reporting of vaccine adverse events with fines for failing to report. 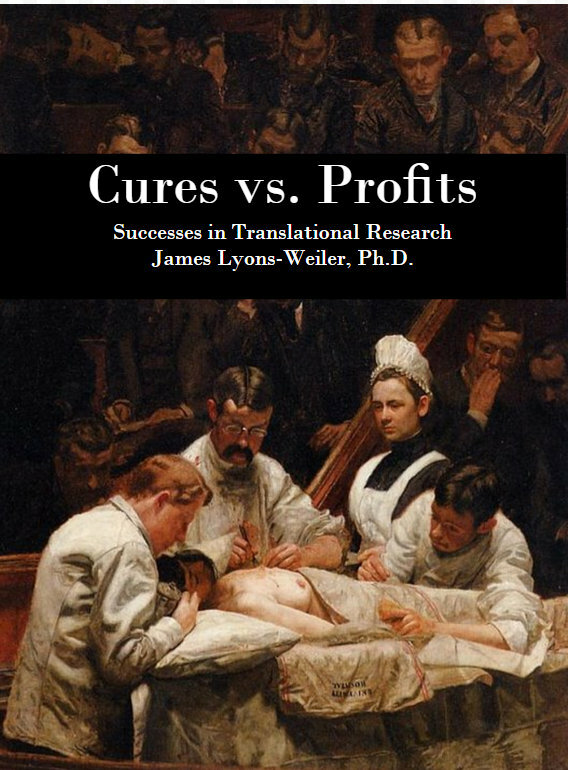 VAERS is a failed system, capturing only between 1% and 10% of adverse events from vaccination, and users are required to acknowledge that the data are so poor they cannot be used to determine causality. The legendary VSD of CDC folklore is not available for public review and use. Professional obfuscationists currently inhabit high-ranking offices at the CDC, the NIAID, and the NIH. Their continued involvement in the areas of infectious disease, and public health insures that no reform can take place, in spite of the overwhelming evidence that vaccines are making many – if not most – recipients sick. They need to resign, accept early retirement, or get behind the movement sweeping the nation to protect our children – and ourselves – from serious adverse events and injuries. The misinformation campaign based on fear that people will stop vaccinating must be replaced by science. As a scientist and a citizen, I am calling on every citizen, vaccine manufacturer, ACIP, the CDC and independent researchers to request funding from Congress for $1Billion in funding to be distributed to Universities to conduct immediate prospective RCTs on the safety of all vaccines currently on the market to determine if we can predict who will experience immediate, short-term and long-term adverse events and injuries from vaccines. CDC cannot be trusted, and won’t be trusted. Vaccine manufacturers have lost all credibility to a fast-growing portion of the American public, and other than joining their fellow citizens in a call for science, they should step aside and let vaccine safety science occur. Only a bought press and captured regulatory agencies are keeping the vaccine house of cards from falling apart. Moves to make the vaccination a police action are happening around the world. Dishonest moves by the likes of State Senator Richard Pan leading to the persecution of his former colleagues – medical doctors who honor requests for exemptions – show a true lack of personal character. The entire medical industry ignores the right of patients to refuse to participate in clinical trials – fully aware that the vaccines they are administering are subject to ongoing clinical safety trials. A clause in the 21st Century Cures Act allows doctors to enroll their patients in clinical trials as long as the IRB overseeing the trial has determined that the risk to those enrolled is minimal. Clearly this act cannot possibly be relevant for vaccines, for which post-market surveillance studies are needed to determine long-term risk – the very information needed to allow this clause to be invoked. Citizens can opt out of vaccination on the basis of their refusal to be enrolled in the ongoing post-market safety studies. Citizen groups can also consider challenging and educating individual medical doctors who enroll patients in the ongoing clinical safety trials without securing informed consent. We need outcome studies of injured vs. non-injured, and studies of rates of vaccine adverse events in genetic groups defined by the basic and translational science conducted that points to increased genetic risk of mysterious diseases with no known cause but many suspected environmental triggers. It is morally wrong to hide specific risk to identifiable subgroups in whole-population comparisons. Where is the study to determine if people with HLA genotypes with high risk of RA are at higher risk of RA due to vaccines than people with HLA genotypes with low risk of RA? Bodewes et al., 2011. Annual Vaccination against Influenza Virus Hampers Development of Virus-Specific CD8+ T Cell Immunity in Children J Virol 85:11995-12000. Cowling, BJ et al., 2012. Increased risk of noninfluenza respiratory virus infections associated with receipt of inactivated influenza vaccine. Clin Infect Dis. 54(12):1778-83. doi: 10.1093/cid/cis307. Han, S. 2013. How aluminum, an intracellular ROS generator promotes hepatic and neurological diseases: the metabolic tale. Cell Biol Toxicol. 29:75-84. Kahrizi F 2016. Repeated Administration of Mercury Intensifies Brain Damage in Multiple Sclerosis through Mitochondrial Dysfunction. Iran J Pharm Res. 15:834-841. Liu G et al., 2014. Puerarin protects against lead-induced cytotoxicity in cultured primary rat proximal tubular cells. Hum Exp Toxicol. 33(10):1071-80. doi: 10.1177/0960327114521048. Mizra et al., 2017. Aluminium in brain tissue in familial Alzheimer’s disease. Journal of Trace Elements in Medicine and Biology 40:30 – 36. Stamogiannos, A et al., 2016. Screening Identifies Thimerosal as a Selective Inhibitor of Endoplasmic Reticulum Aminopeptidase 1 ACS Med. Chem. Lett. 7:681–685. Thank you for giving us this powerful piece on our national day of gratitude. Today I am especially grateful for honorable scientists and physicians, for activists like Del Bigtree and Polly Tommey and too many others to name, who have nothing to gain except opprobrium from the criminals in charge of our public institutions. Those in charge of our public health system are criminals of the worst sort, entirely lacking in moral compass. Can we have a pdf version of this please? I fangirl this scientist. Read this and you will know why….